In this article you will get to know 12 best paying article directories that will help you earn passive income in a smart way. Revenue sharing websites page rank better in search engines due to very high domain authority this means your efforts of writing article starts paying off quickly. You can learn more passive income strategies at internet marketing blog. Passive Income is the most hot buzz word when it comes to online wealth building strategies. Passive income also called as residual income is something that drive's away the fear of retirement and help in achieving retirement goal. 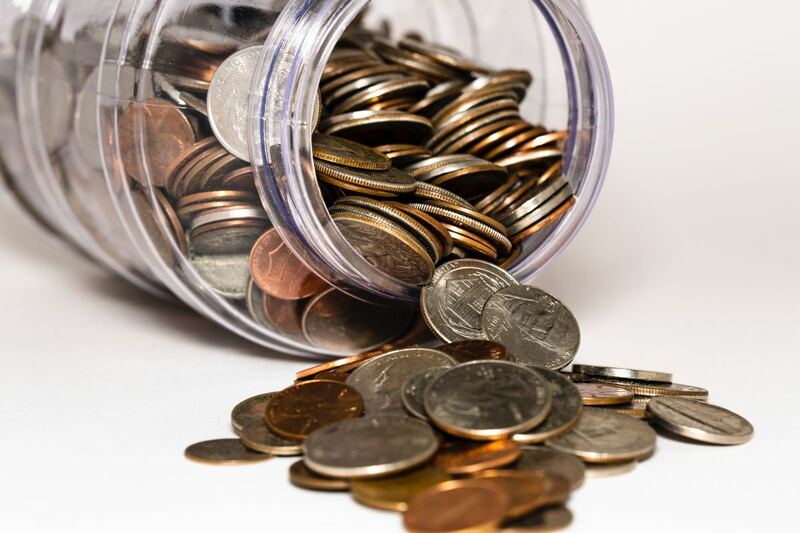 Unfortunately there are thousands of people who have tried to create successful passive income have got surprised to see how much of the work, time and cash investment involved. There are many way you can achieve passive income, but the question is how to get it in a smart way. Content marketing is one of the very important element of online marketing. Every marketer who desires that his marketing campaign should be successful, has to depend on content creation and content marketing. This involves writing keyword rich article with good information and posting them or submitting on article directories, this is the best way to get your content across your target market. This way of article submission you get two way benefit one you might reach your target audience and the second way is that you might get back-link to your website. But there is third benefit which is the way to earn smart passive income, continue reading below. It is a normal practice to use article directories for getting backlinks, submitting articles to these article directories is not as easy as submitting bookmarks, it requires lot of work and time.This is one reason that website owners approach article marketers. 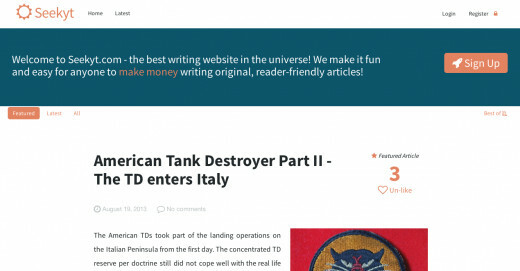 Just imagine how nice it could be if you could get paid for providing service of writing articles and submitting to websites for backlinking and you also get advertising revenue share from article submitting sites. This is what I call earning smart passive income. Writing a unique and quality article is one time effort but there is a possibility that you can keep earning passive income for a very long-time if it ranks in search engine. You must have come across some of the prominent article directories like EzineArticles and GoArticles etc, they have their own advantages but they fall in other category of article directory where you submit articles just for the sack of getting backlinks to you niche website. When you think of backlinking you will come across huge list of article directories. Some of these article directories pay for writing and some don’t. Also some of the directories allow backlinking and some do not allow backlinking. My personnel opinion is to take advantage of paying article directories that allow you to submit article for back linking and also share their advertising revenue with you. I can give many examples of passive income earner and I am one of them. So here in this article I present to you list of revenue sharing websites that will help you earn passive income. This is one of the best paying article directory and my favorite source of passive income. I will suggest everybody to just join Hubpages.com, write high quality unique article about 1500 words and you will see that gradually your earnings start increasing just for writing once. The HubPages.com revenue sharing model is very good and they are very transparent about it. They share 60% of the revenue earned from your hub, they also have referral earning, you will get 10% of the income earned by the person you referred. You can passive income from Google Adsense, Hubpage Advertisement program, Amazon Associate program and eBay program. The best part is that they are very serious about the quality of content and every article that you publish will be held in moderation and only quality article will be allowed to published. This is good for are the passive income earners as Google gives more authority to the Hubpages.com website. 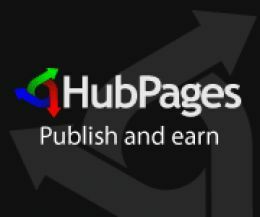 Anybody who is into earning passive income will surely know about Hubpages.com. The page with your content or article is called as 'Hub' and they are rated and based on the traffic and your hubs profile is given score. Because Hubpages.com is focusing on quality of content your hub will maintain ranking even if other sites fall in ranking. This means you search engine traffic will last longer and so will your residual income. Along with earning residual income from your hubs you can also post article to gain very high quality do follow back-links. The back-links from Hubpage.com are of high quality so more link juice for your website. Also since there is a possibility of better ranking of your hubs, you might even receive good traffic from your Hubpages. Join Hubpage Today and see your passive income building within 3 months - Click Here to Join!. 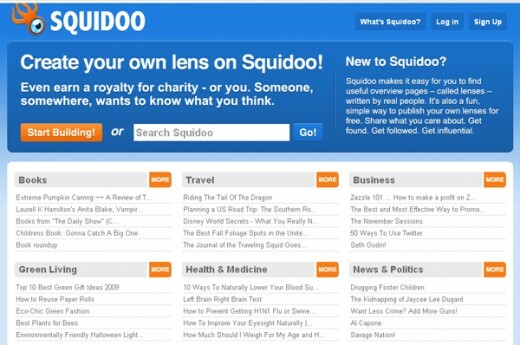 Squidoo.com is the second best paying article directory and there are many people who are earning good income from their Squidoo Lenses. 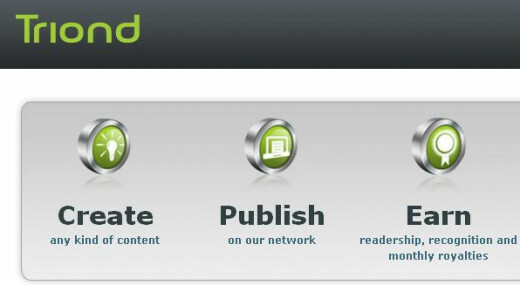 It is not very easy to start with Squidoo.com as they are very strict with the quality of content. This is in fact better because overall site authority is very good and Google ranks Squidoo articles better. The article that you post on Squidoo.com are called as 'lenses'. It has many modules that you can add to your article and at times the interface looks very complicated and confusing. But as you start building your squidoo lenses you will find it easy to work with. There are many features to add and also you can earn through many channels like Adsense, Amazon Associate and also your own affiliate links . They also share a very good amount of revenue earned from your lenses. As your lenses start going upward in ranking the percentage of revenue share also goes on increasing. Only problem is they are not very transparent about their revenue sharing system and it is complicated, but as long as you get your passive income from the squidoo lenses you should keep writing. Along with earning passive income you also get to post article to receive high quality back-links to your site. If your lenses ranks well in the Google search than you will also get traffic to your site from squidoo website. 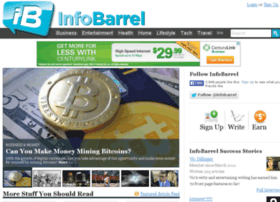 InfoBarrel.com is also one of the good passive income source and well paying article directory. You can write articles of your choice in various category, the first 10 articles are manually checked for quality before approving. So they also have good quality articles and Google loves such site. So it is sure that the back-links will be of good quality. Previously they used to share 75% of the Google Adsense revenue earned through your article but since some of them started having problem with approval of Google Adsense, they started their own advertising system known as IB Ads system. InfoBarrel shares 75% of the revenue earned by its own advertisement system and the amount is paid directly into your PayPal account. They also have referral system where they pay 2% of the revenue generated by the add impressions on your referral articles. If you are someone who can write good quality articles than InfoBarrel.com is a good source to earn passive income. If you can create unique and original content in any format, than you can earn good passive income from Triond.com. Every article that you submit is moderated and than approved. The article that you submit is published on their network of websites. Their network of sites include various niche websites from different categories like health, finance, home etc. The best part is that you can get back-links from relevant niche websites, and also by submitting articles in different categories you can get back-links from their network of websites. The revenue is earned through display of advertisements and also contextual advertising, the revenue share of Triond.com is 50% of income generated through your article. The payments are made monthly and you can receive your payments through PayPal, Check or Western Union Money Transfer. If earning passive income and also getting diversified back-links is your goal than Triond.com can be a good choice. Wizzley.com helps you with easy ways to make residual income. 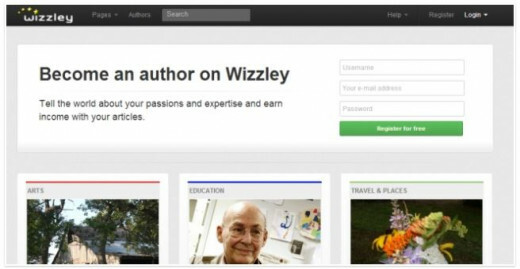 With Wizzley.com you have to write articles that you are passionate about or share your expertise and there you have passive income streams. Unlike other revenue sharing website which allow 2 or 3 income source, the types of passive income that you can make with Wizzley.com are Google AdSense, Amazon, VigLink (eBay), AllPosters, Zazzle, Chitika. After joining Wizzley.com you will have to enter affiliate ID of all the sources of passive income you want to earn like Google AdSense, Amazon, VigLink (eBay), AllPosters, Zazzle, Chitika. 50% to 60% of your article page impressions will be paid directly from Google and Amazon, etc. When you have article less than 50 you will earn 50% revenue share, after 50 approved articles you will earn 55% revenue share from your page impressions. When you reach 100 approved articles you receive maximum revenue share that is 60%. 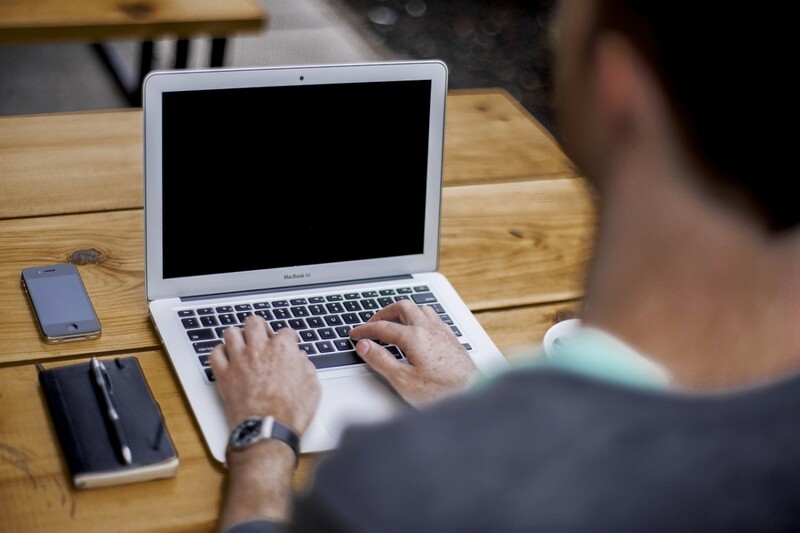 They also have referral income, that is you will get paid for joining more writers through your referral link. They pay 10% revenue share for the members that join through your referral link. SeekyT.com is one of the revenue sharing website that shares maximum of 70% of your page impressions income. This is one reason why you might start earning more with very few articles. The revenue sharing is through Google Adsense, Chitika, and Amazon Associates. The first 3 articles that you post on SeekyT.com are strictly moderated and after that your articles will get approved automatically. SeekyT.com allows you to choose the placement of advertisement for each article. Proper placement of advertisements means higher CTR and higher CTR means more residual income. You will like SeekyT.com for its referral income. They pay 25% of the referrer revenue share. Consider if you can manage to get 100 good article writers to this revenue sharing website than you can earn passive income even without writing any article. You can consider this website for getting quality backlinks and also earn passive income. TopicSpotter.com is having a very neat mazagine layout and it becomes easier for the visitor to just come and read articles on various categories. The best part of TopicSpotter.com is that every article that you post have to be approved. This means quality article and quality article website mean higher authority in search engine ranking. The backlinks from this websites is of higher quality. 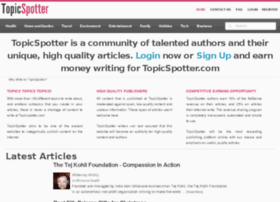 TopicSpotter.com is a revenue sharing website that shares 70% of the advertisement income generated from your article. 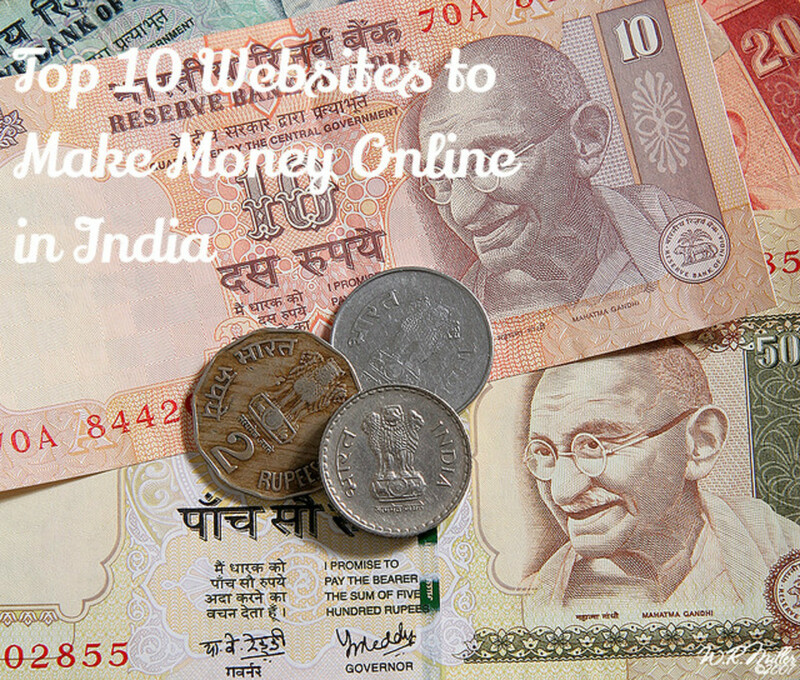 The revenue is generated from the advertisements from Google Adsense and Amazon Associates. They also have a referral program and give a referral payout of 25%. This means you will get paid 25% of income earned by every member that joins through your referral link. Which Revenue Sharing Website Will You Choose? There are many people who are earning good passive income by writing articles on the above mentioned revenue sharing websites. Even I am also earning residual income from HubPages.com but I do not guarantee that everybody will make such kind of passive income. It all depends on lot of factors like keywords, quality of content, SEO etc. Also the revenue sharing model of each of these websites can change. So always read the actual revenue sharing system of each website on their official webpage. It is always good to diversify your passive income streams, not limiting yourself to only one revenue sharing website. This article is just to show the possibilities of earning online income. I personally believe that if you try to sincerely share your knowledge for others benefit you will surely get rewarded. I suggest to try to do this for just 3 months on HubPages.com - Join Now! I will be adding more paying article directory websites to this list in the coming days, I request you to suggest any other revenue sharing websites in your comments. Can you tell which among these are top 3 now? Or has there been better additions? These are some great sources, although Squidoo is not around anymore. By far, I think Hubpages has the most potential, however, I've thought about diving into Wizzley too. Is that still around? Thanks for the share. I did not know about three of them. I am like shelpeare - and will concentrate on HubPages. Voted Up! I believe I will start to concentrate more on HubPages. Many of the other writing sites are in decline or have disappeared in the past few years. Thanks again, Anandkg22 for this pointer. Thanks Miebakagh57, yes it is best to focus on hubpages.com and start your monthly income growing. Frankly speaking my hubpages.com income is funding my other projects. Thank you Anandkg22 for bringing this story to the light. As a beginner, it is best I concentrated on Hubpages and make the required 10-15 mark before moving over to other directories. Thanks again.